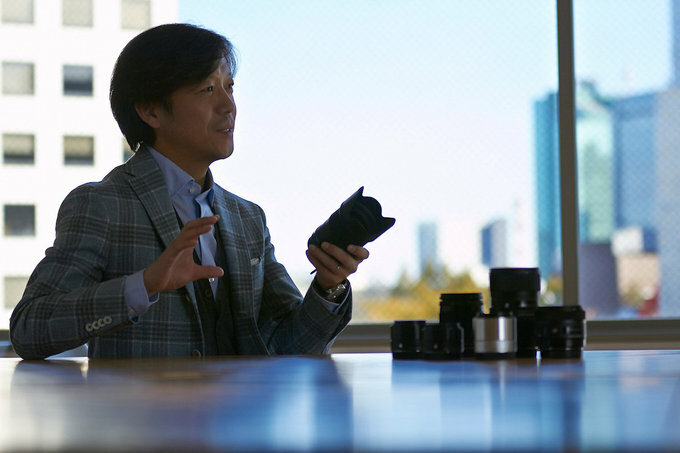 During this year's CP+ show held in Yokohama, we had the opportunity to meet with the CEO of Sigma Corporation - Mr. Kazuto Yamaki, to talk to him about the current situation on the photographic market and plans for the future. Let's start with my Aizu trip. I would like to thank you very much for the opportunity, the trip was very exciting for me, I had a great time in Aizu. We started our visit with a short presentation about the factory and mister Manabu showed us the plan of the factory, pointing out new premises. I found it interesting that there were still old buildings on the premises , from the 70s I suppose, and they are surrounded by modern buildings. Why you haven't demolished them and replaced by the new ones? Because of economic or sentimental reasons? That's a good question. Actually it's more costly to replace them than to build in a new location. So what are they used for now? Warehouses? Production? The old buildings are used as an inventory warehouse and offices. We started our tour with the new building where the magnesium alloy parts are being processed and the building was constructed almost one year ago. I noticed that you are still under development. What are your future plans concerning the factory? Probably we are going to build a new building for assembly. In order to make very high quality lenses we are adding more and more procedure and checking in the assembly line. As a result our assembly is getting physically longer and longer and needs more space, that's why we need a new building. I know that you were visiting Aizu factory with your father when you were just a boy in primary school, during summer vacation. Your father told you “People take pictures in their happiest and most moving moments. A camera and lens are close to life’s emotions. It a rewarding job”. Did you know at that moment that one day you would be the successor of your father? I was not completely sure but my father always told me that I was to take over his business, even when I was still very young, like a five-year-old or six-year-old. How did you feel about it? Did you feel stressed because of all that responsibility? Yes. First of all, we were living on top of our headquarters office building. I knew many members of staff, employees of the company, so I knew I had some kind of responsibility. At that time we employed approximately 300 people and my father always told me that I had a responsibility for those 300 people plus their families. Considering the fact that there are usually three other family members, a wife and two kids, so, my father told me that I had a responsibility for twelve hundred people on my shoulders. Were you being prepared for your role in the company in a special way? Were you sent to special schools, universities, and so on? Yes, I studied the business management at the University and initially I had a plan to work for a big company first to learn how they run business and then come back to Sigma, but while I was studying I realized it's better to go straight to Sigma. In Japan, especially in a small company like us, the teamwork is very important. If I had worked for a big company for, let's say, ten years and then come back to Sigma as some kind of manager the employees might not have accepted me as a respectful manager. It's better to start from the scratch together with employees and I learned from the scratch with the employees. That's how I think the employees accepted my leadership and that's why I decided to go directly to Sigma after I graduated. When did you start working for Sigma exactly? What were your first duties in the company? I started working as a mechanical design engineer. So not in the management team? No, no, no, no, I started as a mechanical engineer and then we were at the risk of bankruptcy because in the middle of the 90s we went through a very thought period. The rate of Japanese yen went very high so we suffered from the small revenue because we sold our products in foreign currencies. Then I moved to the business planning division to take care of the cash flow and cost calculation, things like that, and then, several years later, I returned to the engineering division and then I worked in many different divisions like product planning or optical design division. I did not design optics, mind you, I was just a manager. I was also a manager of software design, PR and marketing in order to have different experience with many divisions in the company. When you became the CEO did you think you were well-prepared for that role? Or maybe you still felt stressed? Working as a CEO is always stressful and I am still not sure I can be a good CEO but I always try to do my best. Perhaps you are underestimating yourself. You said that the position of the CEO is still stressful for you but what is, in your opinion, the most interesting aspect of it? What do you like the most in your job? Product development. It's really exciting to make plans for new products, exchange opinions with engineers. For me it's the most interesting part. Maybe making contracts or agreements, negotiating with clients, that kind of things. Legal affairs are not my cup of tea. I know that you travel a lot, I've heard that you go abroad practically every month. Do you have a favourite destination? I like almost every location, in each country, there are opportunities to learn new, interesting things. I know that you've been in Poland twice, in 2012 and 2015. Are you going to visit us again? If yes then when? What's your most vivid memory after your previous visits in Poland? Actually you. Visiting LensTip. I was very much impressed by your site. LensTip was the first professional lens review site as far as I know. Poland is not the biggest market for us but I really wanted to visit that country. First of all K-Consult (Polish Sigma dealer ) has been doing a good business for us but, more than that, I really was interested in Poland because of LensTip. It's true. Apart from business matters, what did you like in Poland the most? I only visited Warsaw. That city was almost completely destroyed during WWII. I was taken to the wall at the Warsaw Rising Museum and it was very impressive. My name is Kazuto; this means a man working for peace. The 'Kazu' means 'peace' and 'to' means 'a man'. My parents wished I was a man working for peace, that's why that museum made such a strong impression. Last year you rewarded K-Consult as one of your best business partners. I suppose your cooperation is very good. Is there anything you would want to improve? Do you have any plans concerning the development of your business relations, taking into account the fact that you are going to visit Poland this year? I just want to show my respect to K-Consult and LensTip. I understand, so your cooperation is perfect and you don't want to change anything. I just want that K-Consult keeps their attitude toward business. They are very straightforward and they sometimes provide us with very honest opinions, ask very tough questions. I can learn many things from them. Is there any feature that distinguishes Poland from other European countries? In the beginning, when we introduced our first Art, Contemporary or Sports products, Poland was one of the fastest markets that accepted our new series of lenses. Many other markets still focus on very cheap, affordable, low-end lenses but thanks to good work of K-Consult and LensTip we have been able to sell successfully many high-end lenses in Poland such as the 35 mm f/1.4 or the 50 mm f/1.4. It really surprises me because the Art line doesn't feature cheap products and Polish people don't have so much money to spend on their hobbies as people in some other countries. I thought the Contemporary line would be more popular in Poland. Market-size-wise, the Polish market is much smaller than markets in bigger countries but the part of high-end lenses, sold by us, was much bigger at that time so I was impressed how Polish users proved to be more sophisticated; today we sell many Art line lenses on other markets so currently there is no big difference between Polish market and other markets. I prepared some questions about lenses but first I would like to mention another topic. It's my sixth visit to CP+ and I got used to seeing many new, exciting Sigma products but not this year. Can you explain why? Of course we are working on many projects but I decided that it's too early to show the new products. Actually, we had a plan to announce them at Photokina but then Photokina was canceled. We are going to reveal some new products later this year. What about the next year? Photokina is planned for May and CP+ for February. We got used to a concrete announcements schedule issued by the biggest companies, starting in January and February and the second wave being released at the end of the summer. How does it look when it comes to the next year? It's really frustrating, a headache. Actually I think I will be annoyed which products to announce during the CP+ or Photokina. But it's very important to remember about the CP+ and not focus only on Photokina. This photo exhibition does have a great potential. Let's talk about your cooperation with Leica and Panasonic in developing of the L-mount system. What are the reasons of this decision? For example in the case of the Sony FE mount we had to wait very long for the involvement of Sigma and here you started to act straight away. Actually we started discussing the alliance one year and half ago so there was plenty of time for preparation. The second question I prepared concerns the development of new L-mount. I wanted to ask if the new lenses will be just older constructions with L-mount adapter or new constructions designed especially for L-mount cameras. Now we already know that these are well known lenses designed for DSLRs but with build-in L-mount adapter. Don't you think it would be better to develop first two or three lenses designed especially for mirrorless cameras than show a large amount of lenses we already know? Of course we are going to release lenses which are designed for mirrorless cameras so with short flange back – that's our plan. Why didn't you start with that plan? Because it takes time to develop such lenses. But you had one year and a half. Normally, it takes two years to develop one lens, a very long time. People who purchase a camera really need a wide range of lenses so we decided to prioritize, first support the camera, making the L-mount lenses, using the existing optics. Moving forward we will release more lenses designed for mirrorless cameras. When are we going to see first lenses designed especially for mirrorless cameras Sony FE and L-mount? Sorry but I can't comment on that. For many years SIGMA have been developing their own mount; does the fact that you've got involved in the L-mount system mean the end of SIGMA mount, as was mentioned during the Photokina press conference? Yes. Actually we started that project by ourselves. In order to make the new system we decided to terminate the existing SA mount system and create a completely new mount system for the mirrorless cameras with a short flange back. So we were working on the design and during that period Panasonic approached us and offered to work together. Then we were also approached by Leica and that's how these three companies decided to work together. So even before we decided to join the L-mount system we also decided to terminate the SA mount and change into a completely new system. What about the existing Sigma cameras users? Will the future lenses be offered with Sigma mount too? I have not decided yet. As long as we design lenses for DSLR we will design SA lenses and provide for the existing customers. Apart from L-mount lenses you informed that you were going to develop also Sigma cameras. Even in your booth you can see a list of L-mount cameras and the announcement concerning the development of a Sigma camera. When is the first camera going to be released? Next year, at some point. Will your L-mount cameras feature just Foveon sensors or other sensors as well? For the time being we plan to develop a camera with just Foveon sensor. We think it's the best sensor for our customers. If we find another very good sensor we might use it as well but Foveon belongs to Sigma so in the future we will continue to develop the Foveon sensor cameras. Maybe from time to time we may use another type of sensor but so far we haven't had such plans. Are you planning a full frame camera? That is the basic plan but everything is possible. We might even use an APS-C sensor again. You're going to launch a camera next year and you still don't know what type of sensor will be inside? Actually, it will be a Foveon sensor. Let's return for a while to the Sony FE mount. How do you assess your presence in that system? Are you satisfied with the sales volume? It's growing very rapidly and I am very impressed. Don't you think we had to wait too long for Sony FE Sigma lenses? But I meant something different. You are very excited with the sales volume because Sigma lenses for Sony sell very well; don't you regret that that you released them so late? The first Sony Alpha mirrorless camera was released over 5 years ago and we had to wait 4 years for first Sigma lenses designed for that camera. Don't you think it was too long? Maybe, but the Sony A7 appeared right after we launched our new series of Art, Contemporary and Sport lenses so we needed to prioritize the right order of production. Then we started to work on cinema lenses and we had to work very hard on them. Then we could work on the new mirrorless. How about your cine lenses sales? We are doing well and gaining good reputation among professionals. Still it is a very tough business area, different from the photographic market. It's quite different. Many people warned me it's very tough market and the brand is very important. There are many classic brands like Arri, Cooke , Zeiss ; many people warned me that we wouldn't be able to succeed. Still, surprisingly, we are doing well, especially in America, France and the UK. So it was a risky decision but it paid off? Yes, and it brings me a lot of joy, developing new products. Recent Canon, Nikon, Sony and Panasonic prove that the future of photographic business belongs to full frame mirrorless devices. How does that fact influence your approach toward designing lenses and planning new products? I suppose most of your work still concerns full frame lenses for DSLRs but it seems in years to come mirrorless mounts lines will have to be developed as well, both these designed for full frame and for APS-C.
We will maintain those four lines of products but I agree that the future belongs to mirrorless cameras. We will work more on full frame mirrorless lenses, this is our first priority; then probably there will be mirrorless cameras with APS-C and then, full frame DSLR. What about Sigma lenses for Fujifilm X? Some third party producers even from China have already been constructing autofocus models designed for that mount. What about Sigma? 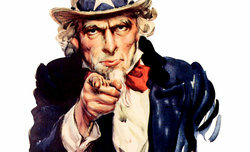 Are you going to get involved? I really would want to but, you know, our resources are limited and it's all a matter of priorities. I really wish we could make a lens for the X mount system but right now, just because our resources are limited, we don't have such a plan. We have too many ongoing projects. Actually there are more of them, even about 180. And it is still not enough? So how many engineers are involved in designing one lens? It is a tough question. A typical team consists of 1 optical designer engineer, maybe 3 or 4 mechanical engineers, 1 or 2 software engineers and maybe 1 or 2 electronic engineers so not more than 10 people. In the next stages more specialists become involved: prototype engineers, production system engineers so, in total, several dozens of people are engaged in a production of a new lens. If you add the die design, I think it's close to 100 people for one product. As you talk about dies, I've been impressed by the fact that you produce them on your own. Not all of them. Sometimes it exceeds our capacity so we ask our supplier to make dies for us. There is more and more talking about curved image sensors; there are even producers who have already added them to their production (e.g. Curve One). What is your opinion about them? Do you think such solutions will be adapted by the biggest market players like Canon, Nikon, Sony or the others? Technically I think it's a good idea but for compact cameras. I don't think it will work for the interchangeable lens system cameras because it would mean designing separate lenses fitted exactly for each sensor. Do you think it would make the designing easier? I don't think so. The designing conditions are just different but the degree of difficulties remains the same. It is true that we can make a lens more compact that way but there's no standard; if Canon makes one kind of curve and Nikon produces something different, there will be a lot of mess. I don't think it's a great idea for an interchangeable system. Which one of many Sigma lenses is your personal favourite? Which one is the highest company's achievement? My favourite is the 35 mm f/1.4, the first Art series lens. With the success of the lens we became confident about that direction. Before launching that lens I was very, very nervous because if we failed with that we could not survive. So certainly the 35 mm f/1.4 is my favourite and also, I think, the 18-35 mm f/1.8. This is a very unique instrument of very high quality. And perhaps also the 60-600 mm. A very unique lens. No one has anything like that. As you mentioned the 60-600 mm I must jump to my last question. In your portfolio currently you have the 150-600 mm Sports and the 150-600 mm Contemporary lenses plus the 60-600 mm. Their parameters are very close to each other, their apertures are the same and there's little difference in focal lengths - did you plan that from the very beginning? Yes I did. Before we launched that lens we already had similar devices: the 150-500 mm, the 135-400 mm and the 50-500 mm. The new lenses are new versions of those. We wanted to upgrade with introducing the 600 mm focal length so the 60-600 mm was a part of our plan. We knew that many users needed that kind of focal length range especially those who cannot change a lens quickly e.g. aviation photographers who want to capture one fighter jet and then a whole group of fighter jets in a very short time period. The Art series consisting of fixed-focal lenses has become really impressive but it features just shorter and moderate focal lengths. When it comes to fixed-focal lenses with longer focal lengths Sigma have presented just the 500 mm Sport model so far. Can we hope for an enlargement of the series for example with 300, 400 or 600 mm models in the near future? I'd like to do it but it's just a matter of priorities. We have started many, many projects we have to finish them, so maybe in the future we will think about it but it won't be any time soon. I suppose I already know the answer to my last question but let me ask it anyway. Fast Art series fixed-focal lenses are among the best and the sharpest models we've had an opportunity to test so far. However, in many cases they are also big and heavy, which makes them a bit cumbersome when it comes to travel or journalistic photography. Is Sigma planning to launch e.g. a C line full frame lenses, physically smaller, lightweight, but providing good value for money? First of all producing best quality lenses is my passion so we will continue that kind of production. I always want to make best quality lenses but I don't think the Contemporary line consist of lower-quality instruments. Actually they are all very good. However, after our launch of the Art lenses many companies followed our new direction, presenting big, heavy, super-high quality products. Our next intention is to differentiate from others so maybe in the future we would like to release some unique lenses, different from current trends. Perhaps we will make a lens as you suggested: compact, lightweight, belonging to the Contemporary line. It was my last question. I would like to thank you very much for an opportunity to interview you. I hope we'll meet next year during CP+ and we'll have a lot of new products to talk about. Have a good day.